Love it? Buy me a coffee! 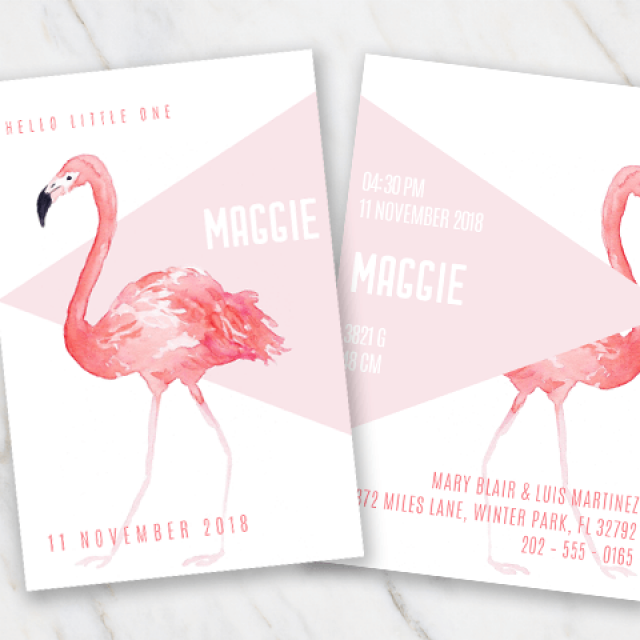 This lovely birht announcement is designed for a all the cool boys out there! Looks lovely with the green and off-white colors used. Next to this, the vintage-looking silhouette of the boy in the car is adorable. The birth announcement is 2-sided and easy to edit. 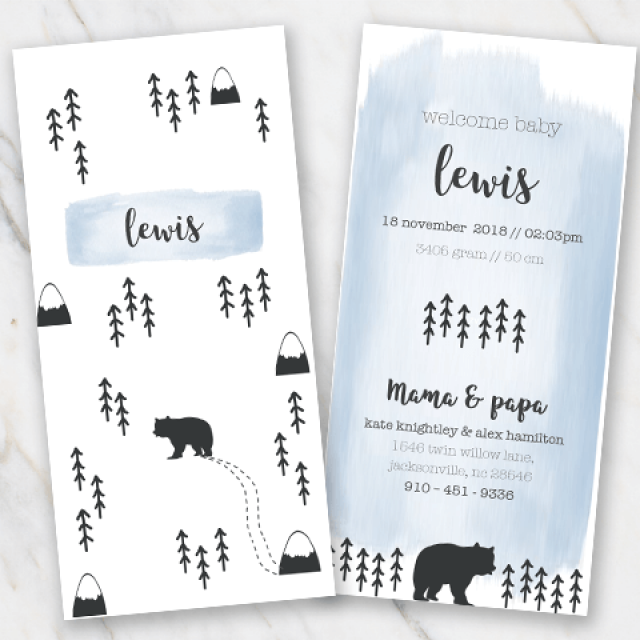 Just download the template in Word via the 'Free download' button and edit the information as soon as the little one is born. 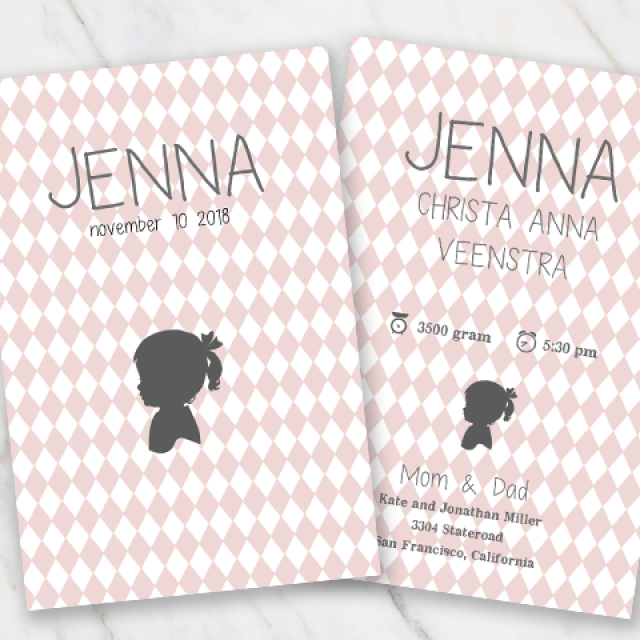 Looking for a birth announcement with different colors or another design? 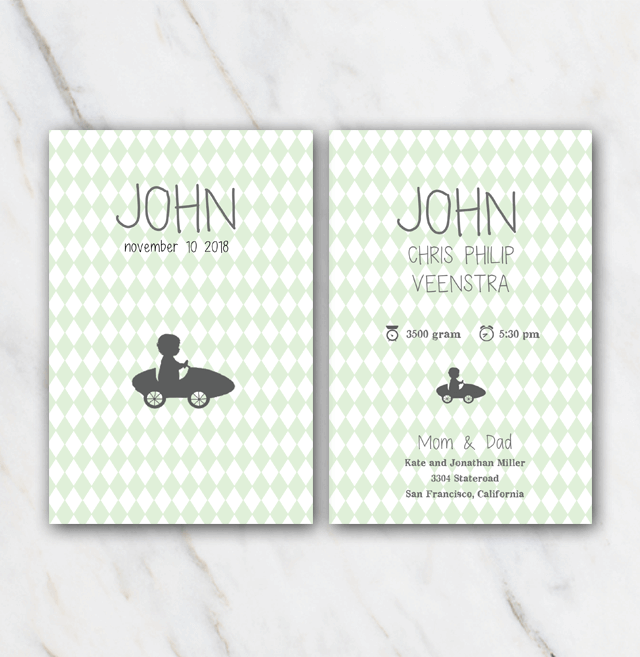 Check out the other birth cards for Word offered here at Temploola.